I'm talking about the weather of course:-) One minute warm, then raining, then windy, then glorious once more! Our boiler STILL isn't repaired, so I'm keeping fingers crossed for warmth, although my requests are as yet unanswered:-( The Gasman came yesterday with yet another part ordered to replace in the boiler, only to find it was faulty and they would have to re-order *roll*, so he's coming back today, and bringing his boss with him in the hope that between them they can get things sorted. A couple of FO's, and these reflect the fact that the weather is so changeable! 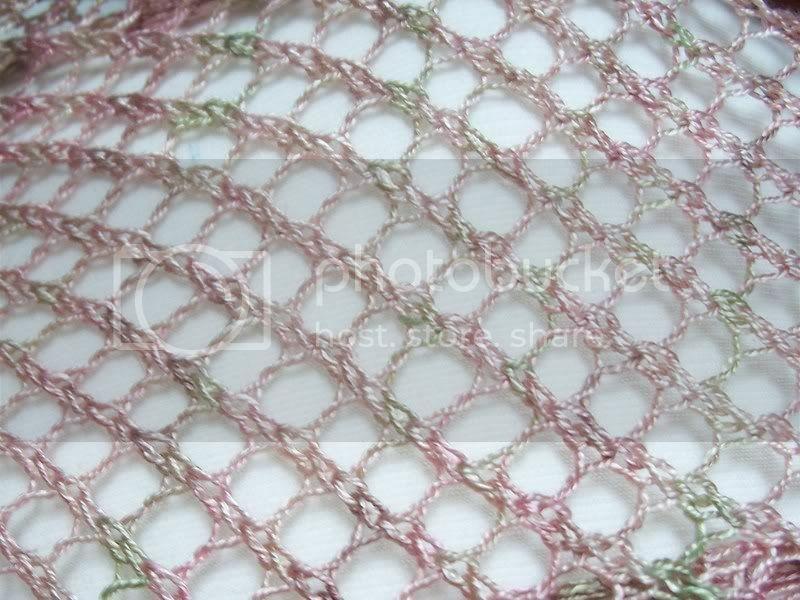 Firstly Urchin, which I bought the yarn to make ages ago, but everytime I looked at the pattern, I couldn't really follow it. 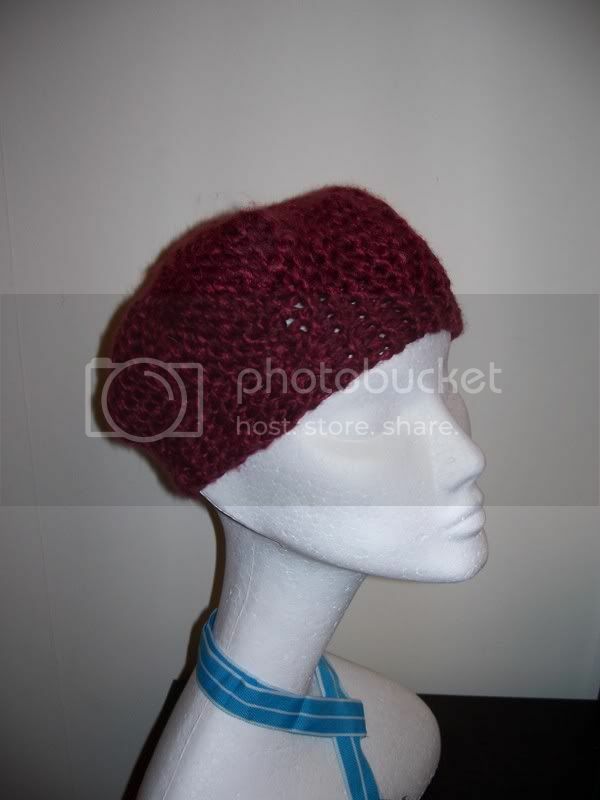 For some reason, I thought the hat was made of wedges sewn together by reading the pattern, but knew from others who'd made it that this wasn't the case. Once I cast on though, it all became clear, and this was a really quick knit, perfect for the cooler days we're experiencing at present. The other project I've finished off is Montego bay as mentioned in my last post. It's been blocking overnight, and now finished, although I haven't decided finally whether to add tassles or not???!!!! I've also cast on for Darling after seeing the gorgeosu jacket made by Clarabelle. It's for a friends little girl and intended for when the cooler weather arrives in the autumn. It's knitted in the round, which is a method I love as I absolutely loathe sewing up seams!!!!! 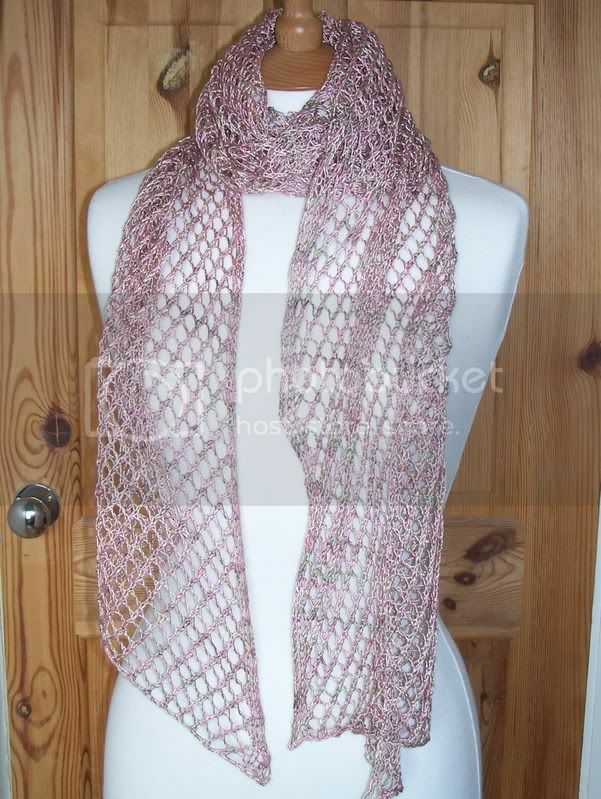 love the scarf, it looks so delicate.Darling is adorable, in the round is now my fave method too. Hope you get your boiler sorted out soon. Love the knits and I do hope the boiler gets sorted.